When you think about what it takes to lose weight properly you might think about cutting out sugar, excess “bad” carbs and high calorie drinks and meats. You might also think about the exercise both cardiovascular and weight training that you should focus on to lose weight effectively. Many people underestimate the importance of proper hydration in reaching their weight loss goals and in just staying healthy in general. So why is water such a key component of successful weight loss? – First of all, when you consider that the initial loss of weight while dieting is more than likely a loss of water, it’s crucial to drink plenty of water to avoid the pitfalls of dehydration. – Burning lots of calories requires that your organs function properly and your muscles are well prepared for the stress. Your body depends on water to keep itself working the way it’s meant to. Burning calories also releases toxins that need to be flushed out by plenty of water. – Drinking water with your meals can assist in making you feel fuller sooner so that you are able to push the plate away without piling on seconds…or thirds. 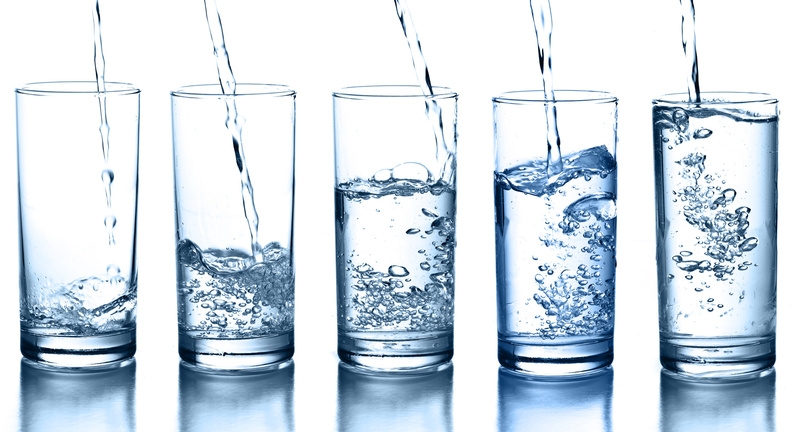 – Water keeps your body’s joints well lubricated and alleviates sore muscles and joint pain. -When you’re dehydrated your heart has a harder time pumping blood to your muscles which can lead to a reduction of oxygen to your tired muscles. This leads to fatigue and makes it hard to workout the way you want. Try having water with all your meals and carrying around a water bottle with you through out the day to make sure you’re hydrated. Bottoms up!